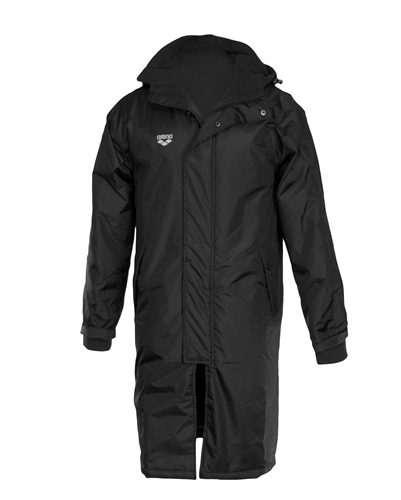 The Arena® Pistony Parka features clean lines and details that swimmers and water polo players are to sure to appreciate. 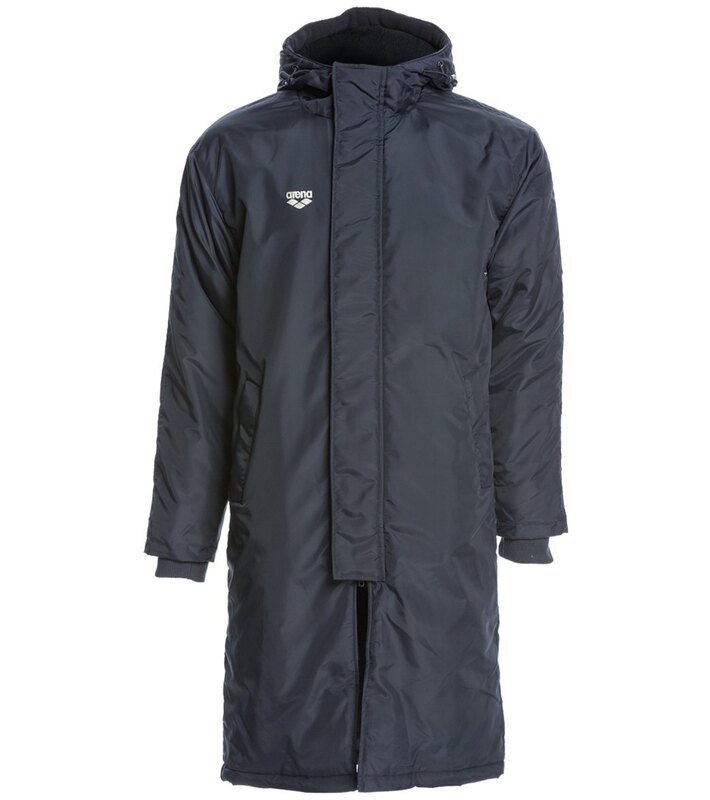 2-way zipper and snaps down front of parka. Arena logo on right chest. 100% Polyamide with Polar fleece lining.